The Vail Recreation District's 2018 La Sportiva Vail Trail Running Series, presented by Bloch & Chapleau Attorneys at Law and Anthem Blue Cross and Blue Shield, will continue the season on Saturday, July 7, with the historic Vail HillClimb on Vail Mountain. The Vail HillClimb trail run, presented by Vail's Mountain Haus, will begin at 7 a.m.
Race participants will follow the historic gravel double-track route that has made the HillClimb a favorite among trail running enthuasists. While the course offers a steady incline, even experienced runners find this mountain race a challenge due to the altitude, with many participants choosing to walk the steeper sections. Despite the grueling course, racers are always rewarded with a celebratory finish and greeted by a multitude of spectators, friends and family members who are able to ride Gondola One to the top for free from 7 to 7:30 a.m. on race day. Registration for the race is $33 for pre-registration, $38 race week or $45 on race day. Preregistration is available online atvailrec.com until 5 p.m. on Friday, July 6. Day-of registration will take place from 5:30 to 6:45 a.m. in front of Vail's Mountain Haus next to the covered bridge. Runners may also register or pick up their bibs from 3 to 6 p.m. on Fri, July 6 at the Vail Sports store in Vail Village. Vail Sports is generously donating gift cards for each of the bib pickup events they host! Pick up your bib at their store and be entered to win a $25 or $50 gift card which will be given away after the race during the awards ceremony at Mid-Vail. Prizes will be presented to the top three finishers of each age group at each race. At the last race of the season on Sept. 15, series prizes will be awarded to the top three finishers who compete in at least five events. Raffle prize drawings will also be held at race awards ceremonies, featuring products from area merchants and national companies. Runners will receive a T-shirt following each race, featuring unique designs. Racers should park in the free Vail Village parking structure at the race start or at the free Lionshead parking structure. Gondola One in Vail Village, which accesses Mid-Vail, is open for spectators to ride to the top for free from 7 to 7:30 a.m. All friends and family who are going to spectate will need to pick up a free lift ticket for gondola access (good for that morning only) at bib pick up the day before the race or on race morning at registration. Failure to load the gondola by 7:30 a.m. will forfeit access to Mid-Vail without paying a daily scenic ride ticket. Dogs or other pets are not permitted to load the gondola. Post-race, the gondola will be free for racers and spectators to download to Vail Village. The Vail HillClimb is the third race in the La Sportiva Vail Trail Running Series, Colorado's premier trail running series. The seven-race series runs May through September and includes distances ranging from a 5K (3.1 miles) to a half marathon (13.1 miles). 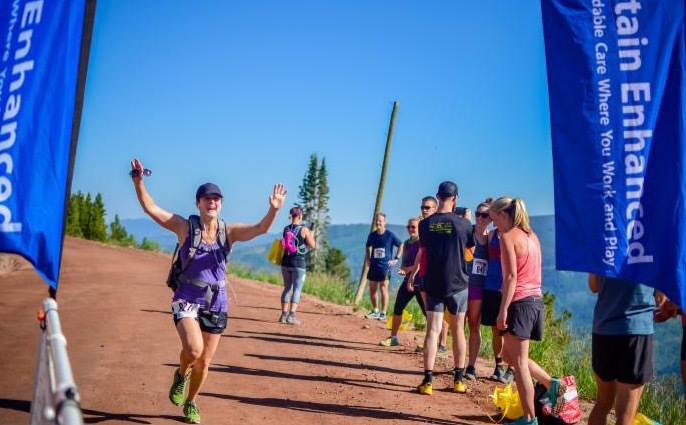 The series continues on Sat, July 21, when runners will be challenged during the Camp Hale Half Marathon and 5K, taking runners along the Continental Divide Trail and the Colorado Trail surrounding historic Camp Hale. The Berry Picker trail run, taking place Sat, Aug. 4, will take participants on an intense 3.1-mile climb from the base of Vail Mountain in Vail Village to Mid-Vail. 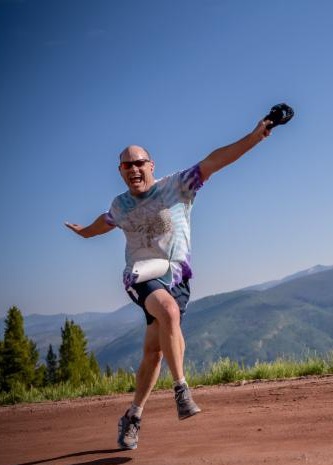 Runners will then enjoy spectacular views during the 5K and 10K@10,000 Feet, which occurs on Sat, Aug. 25 at the top of Vail Mountain, with the majority of the race above 10,000 feet in elevation. The final race of the season, the MeadowGold 5K and 10K, is scheduled on Sat, Sept. 15 at iconic Meadow Mountain in the Town of Minturn. Runners will ascend technical single track on the beautiful West Grouse Trail before descending on double track with open views of Vail Mountain and the Gore Mountain Range. A full list of races and details are available at vailrec.com. Orange Mud, LLC is partnered with the La Sportiva Vail Trail Running Series this year. Orange Mud was created on the dirt around the world's best trails, and understands the needs that come with being an endurance athlete and pushes to create products as your solution. The next time you step out to enjoy your outdoor fun, make sure that you have the gear that will take you through your journey. Visit Orange Mud at orangemud.com. All La Sportiva racers receive 20% off Orange Mud products. Please use the code VRD2018 at checkout! Want to help enhance the race experience? Volunteers are always needed at each race and will receive a T-shirt, among other items, for their help. To volunteer, email Trail Running Race Director Kip Tingle at ktingle@vailrec.com. Joining 2018 series title sponsor La Sportiva and presenting sponsors Bloch & Chapleau Attorneys at Law and Anthem Blue Cross and Blue Shield are individual race sponsors Summit Ford, TIGA Advertising, The Dusty Boot, Vail Valley Charitable Fund, Haute Route Gear & Apparel, Town of Minturn, Howard Head Sports Medicine and Vail's Mountain Haus. Partners also include Vail Resorts, Beaver Creek Resort Company, The Steadman Clinic, Steadman Philippon Research Institute, Central Rockies Mortgage, First Bank, Elevated Dental, Northside Coffee and Kitchen, Vail Mountain Coffee and Tea, Gatorade, KZYR 97.7, Optic Nerve, Garmin, Renewal by Andersen, Vail Honeywagon, Vita Coco, Noosa Yoghurt, Lululemon, PepPod, Roll Recovery, Orange Mud and Town of Eagle. For more information, call the VRD Sports Department at 970-479-2280, email sports@vailrec.com or visit vailrec.com.